Foster Fuels’ Mission Critical Division is playing a major role in the emergency relief efforts in Puerto Rico. 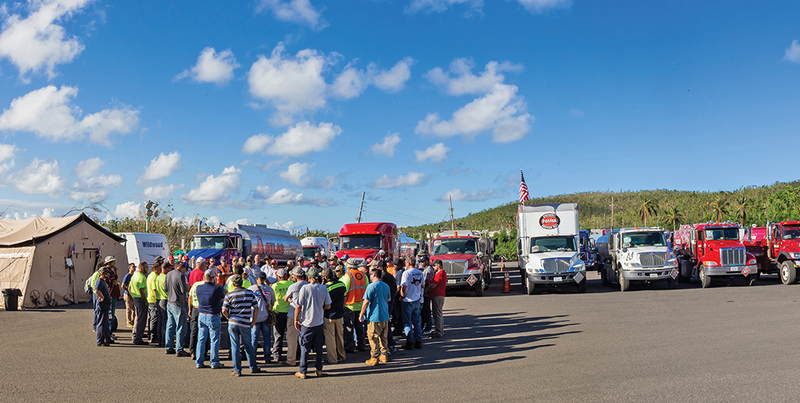 Following the widespread damage from Hurricane Maria, the company sent over 100 men and fuel trucks to the area; they have no definitive time frame of when they are coming home. “Our goals here are to complete our mission, to get the people of Puerto Rico in a life self-sustaining environment, where they can continue to take care of themselves as they have in the past… there is a lot of work to be done and they are in dire need of our services,” said Watt Foster, CEO of Foster Fuels. The International Economic Development Council (IEDC) recently awarded the City of Lynchburg two Excellence in Economic Development Bronze Awards for promotional projects: Lynchburg Innovation Week and the “This is Lynchburg: Welcome Home” video. IEDC’s prestigious awards program recognizes the world’s best economic development marketing materials, programs and partnerships. The council honors organizations and individuals for their efforts in creating positive change in urban, suburban and rural communities. Lynchburg was awarded in the population category ranging from 25,000 to 200,000. Promotional awards are judged on the effectiveness of the promotion, innovation/creativity, quality and completeness of information, and contribution to the economic development profession. Gentry Locke, with offices in Roanoke and Lynchburg, is included in the 2018 “Best Law Firms” rankings published by U.S. News & World Report and Best Lawyers®. In its 24th edition, Best Lawyers in America highlights the top five percent of practicing attorneys in the U.S. Gentry Locke secured rankings in 25 practice areas, including 24 Metropolitan Tier 1 rankings—the highest regional honor—in 24 practice areas. The man at the helm of the Lynchburg Museum System for more than a decade has retired, effective November 1. During his time in Lynchburg, Harvey coordinated the reopening of the Lynchburg Museum in 2008, which had been closed for several years due to a ceiling collapse and structural issues. During his tenure, visitation for the Museum and Point of Honor grew from approximately 8,000 visitors a year to almost 25,000. Horizon Behavioral Health has received a three-year $2.2 million grant from the Substance Abuse Mental Health Services Administration to combat a growing problem facing people between the ages of 18 and 24 years old—homelessness and lack of consistent mental healthcare. These young adults present a series of unique challenges because they are too old for child services but often not ready or eligible for adult services. The grant, called the Coordinated Approaches to Benefit Homeless Individuals (CABHI), will allow Horizon to provide outreach, assessment, and treatment to these young adults. CABHI is designed to reduce homelessness, incarceration, emergency department visits, and re-arrest, while increasing positive social and behavioral outcomes, including employment and stable housing. The Lynchburg-based Davidson & Garrard (D&G) has joined CAPTRUST’s growing team of advisors. Founded in 1987, D&G is an independent, fee-only Registered Investment Advisor that focuses on customized investment advisory services for individuals, families, endowments and more. 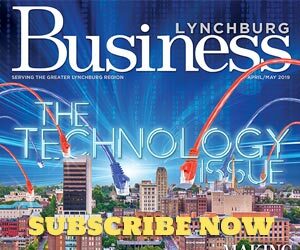 The firm has 13 employees who operate in two offices—Lynchburg and Lexington. With their workforces combined, the organization now operates in 35 offices nationwide and oversees more than $244 billion of client assets. Life Out Louds Films is raising money to support the production of Shoeless Wonders while helping a nonprofit at the same time. Shoeless Wonders is a story about a team of orphans in Lynchburg that rose to national fame in the 1920s by playing football without shoes. The projected shoot date for the film is fall 2018. Learn more about the bracelet at www.lifeoutloudfilms.com/merchandise. Shoppers visiting Virginia Furniture Market’s two locations in Bedford and Rocky Mount could stumble across a design created by Liberty University students. For the second year in a row, Virginia Furniture Market partnered with LU’s Department of Family & Consumer Sciences (FACS) Interior Design Program to host the VFM Design Challenge. The challenge, which is part of a FACS course, divided students into two teams and gave them four weeks to design conceptual sketches and a rendered floor plan, as well as make selections for furnishings used in the design. to be split among the group. Two $1,000 scholarships were also awarded to individual students.